Botulism is a rare but serious muscle-paralyzing illness caused by a nerve toxin that is produced by the bacterium Clostridium botulinum. Three forms of botulism occur naturally: infant botulism, food-borne botulism, and wound botulism. Infant botulism is the most common form of botulism reported in the USA. It mainly affects infants under the age of 1 year. Infant botulism has a wide range of symptoms including constipation, poor feeding, week cry, sleepiness, breathing problems, and poor reflexes. These are all symptoms of muscle paralysis that is caused by the bacterial toxin. If left untreated, the symptoms may progress to paralysis and death. The symptoms of wound and foodborne botulism usually begin 12 to 36 hours after exposure to the botulinum toxin. However, the symptoms may occur as early as 6 hours or as late as 10 days to appear. The length of time for symptoms to appear in infants is unknown, because it is difficult to determine exactly when an infant was exposed to the bacterial toxin. If you or someone you know has symptoms suggestive of botulism, consult a healthcare provider or go to the emergency room. Infant botulism is caused by ingestion of spores of the botulinum bacterium which grow in the intestine and release toxin that has its main effect on the nervous system. Botulism spores are quite common and are found in foods such as honey. Food-borne botulism results from eating the pre-formed toxin (toxin made by the bacteria in contaminated food). The bacteria are most commonly found in poorly preserved, often home-canned or home-bottled food items. Cooking food well will inactivate the toxin. Wound botulism is rare and is caused by botulism bacteria infecting a wound and making the toxin. Botulism is not spread from person to person. Botulism is not spread from one person to another. Foodborne botulism can occur in all age groups. 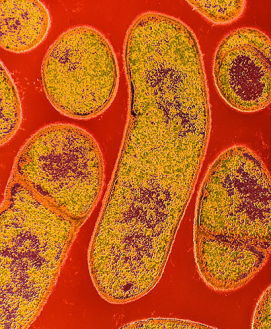 Botulism is a rare disease and diagnosis may be blurred by other similar disease such as Guillain-Barre syndrome, stroke and myasthenia gravis. Diagnosis by clinical symptoms should be done along with laboratory test demonstration of the presence toxin in the patient’s serum or feces or the food the patient has consumed. The most sensitive method of testing is the mouse neutralization assay. Medical treatment is available for persons with botulism. Treatment may include antitoxin and breathing machine to prevent respiratory failure. Antitoxin medicines block the effects of the toxin circulating in the blood. The effects of the toxin may take weeks to months to wear off. An antitoxin for infant botulism is also available and should be administered as early as possible. Antitoxin is available from the Centers for Disease Control and Prevention (CDC). There is currently no medicine to prevent botulism. There is an investigational vaccine that is available only to laboratory personnel working with Clostridium botulinum or the toxin. Risk of acquiring botulism can occur from ingesting of the bacterial toxin and from infected wounds. The bacteria that causes the disease can be found in soil, dust, inside homes on the floors, carpet and countertops. Foodborne botulisms have often been from improper home canning methods. Be very careful when canning foods at home to reduce contamination of foods. Follow instructions on safe home canning as recommended by the US Department of Agriculture in the USDA Complete Guide to Home Canning. Keep oils infused with herbs or garlics in the refrigerator and discard after 4 days. Do not purchase products that appear to have thawed and refrozen, canned goods that appear swollen or spoiled. Observe any use-by or sell-by dates on packaged foods. Keep baked potatoes that have been wrapped in aluminum foil at temperatures above 140° F until served. 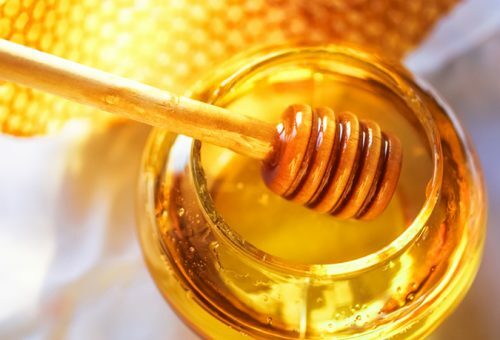 Children younger than 12 months should not be fed honey. Wound botulism can be prevented by immediately cleaning any wounds and keeping them clean. If wounds appear infected (swollen, red, painful, discharge or pus, fever or warm to touch); seek prompt medical care. Wound or infant botulism is a reportable disease Hawaii Administrative Rules Title 11 Chapter 156, Communicable Diseases, under the Routine category which requires a report by telephone, fax or mail to the Disease Outbreak Control Division on Oahu or to the District Health Offices on the neighbor islands. A written Communicable Disease Report (CDR) may be submitted by mail or fax. For additional diagnosis and treatment information, see the Centers for Disease Control and Prevention (CDC).